Dollhouse Miniature Eat Drink and Be Scary - Decorative Halloween Sign - 1:12 Dollhouse Miniature - The Petite Provisions Co.
Halloween is here, so let's eat, drink and be scary! 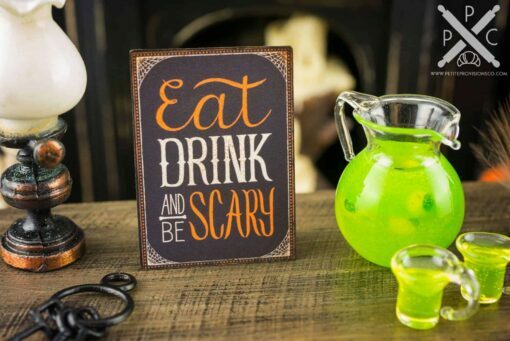 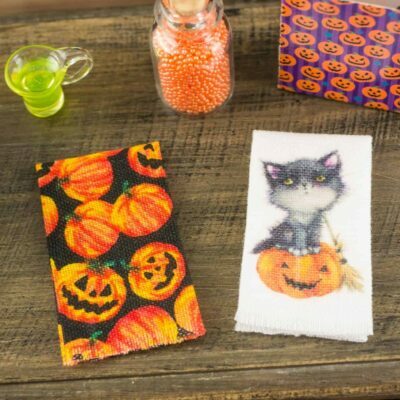 This little sign is perfect for any kind of Halloween dollhouse display. 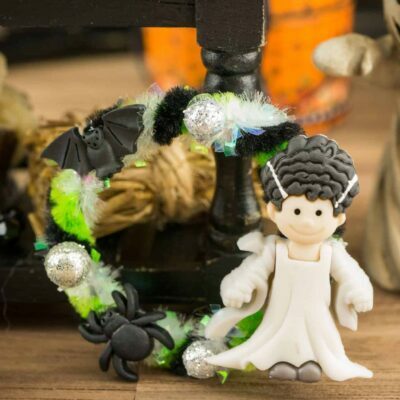 Whether you have a dollhouse or just love all things tiny, this wee decoration is too cute to resist! 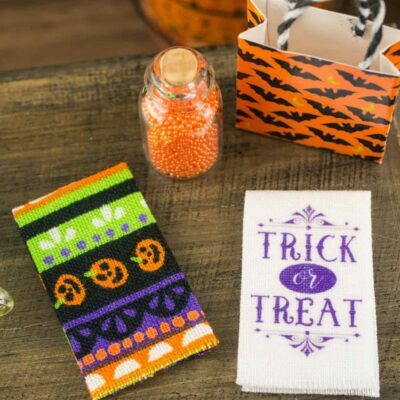 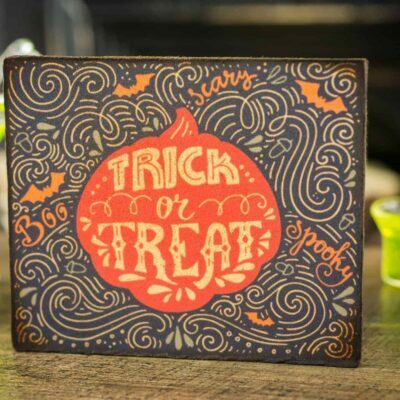 A distressed decorative Halloween sign featuring an Eat, Drink and Be Scary design with cobwebs in the corners on a thick mat card. 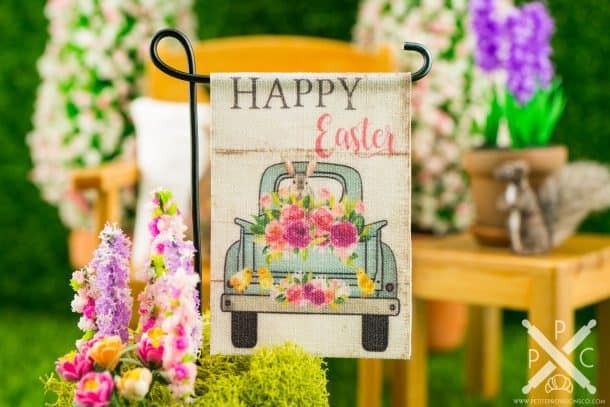 The sign measures 1″ wide and 1-3/8″ tall.